A gorgeous muted beige cream, Cashmere Wrap is decently pigmented but applies a bit patchy. I had trouble getting an even coverage and ended up needing three coats for a smooth and opaque coverage. This is a beautiful elephant gray with a soft blue/green undertone. The formulation is incredibly pigmented and rich. You can probably get away with just one coat but I used two just in case. An icy rose gold shimmer, Radiant Chill is very pigmented and easy to apply. The finish is smooth and streak-free. I used two coats for the swatches below. This is a pale silvery lavender shimmer. Like Radiant Chill, the polish is pigmented and non-streaky. I used two coats for the swatches below. A rich deep denim blue, Winter Nights has a pigmented cream finish. I used two coats for the swatches below. Perhaps my favorite out of the six, Ice Bar is a stunning iridescent shimmer packed with teeny tiny opalescent flecks. Below is the polish worn alone over bare nails and paired with Winter Nights. It gives bare nails a shimmery rosy glow and brings extra dimensions to darker base colors. Overall, this is a stunning collection! With the exception of Cashemere Wrap, all the shades are pigmented, creamy, and opaque in two coats. My personal picks are Mystic Slate and Ice Bar. 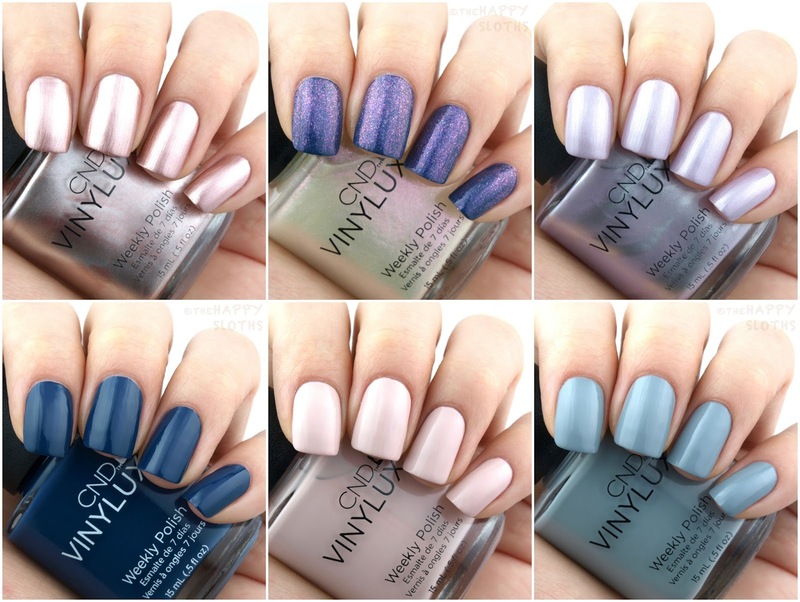 What are your thoughts on this icy, wintery holiday collection from CND? Which is your favorite shade? Share with me in the comments below! 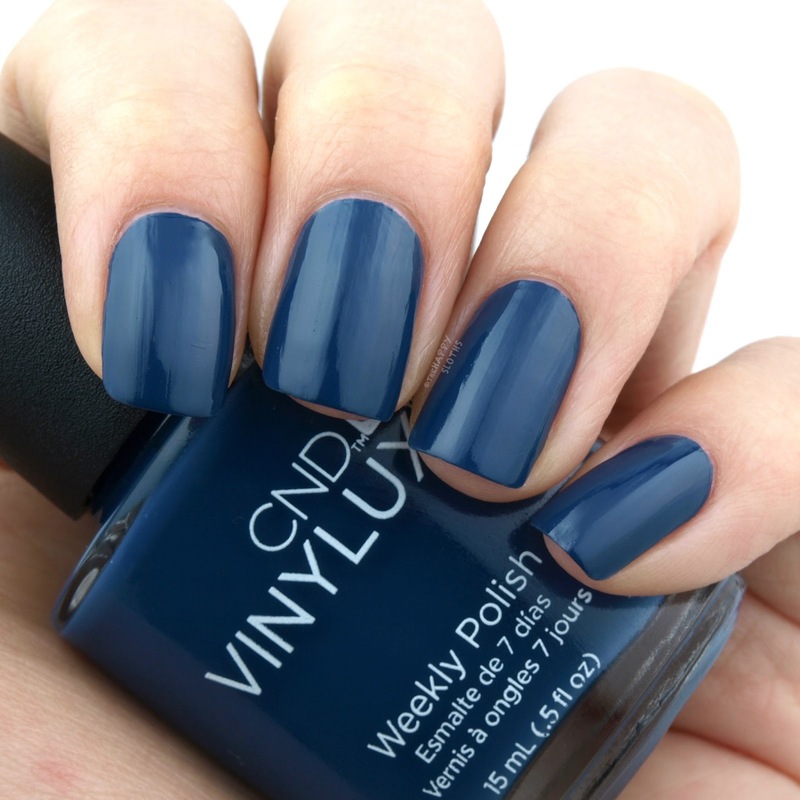 CND Vinylux is available at select salons worldwide. The brand can also be found at www.tradesecrets.ca, www.chatters.ca, and www.nailpolishcanada.com.